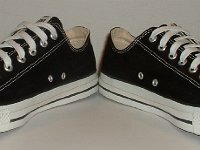 Photo gallery of a new pair of core black low cut oxford chucks. 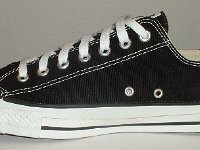 1 Core Black Low Cut Chucks Outside view of a right black low cut chuck. 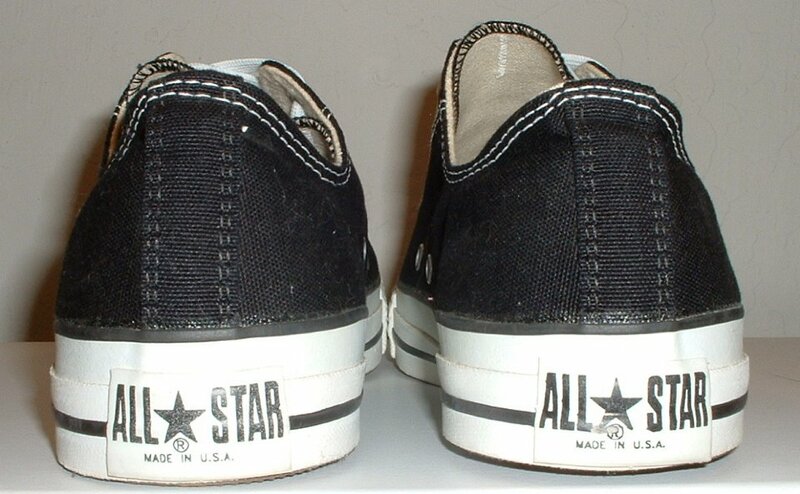 2 Core Black Low Cut Chucks Inside view of a right black low cut chuck. 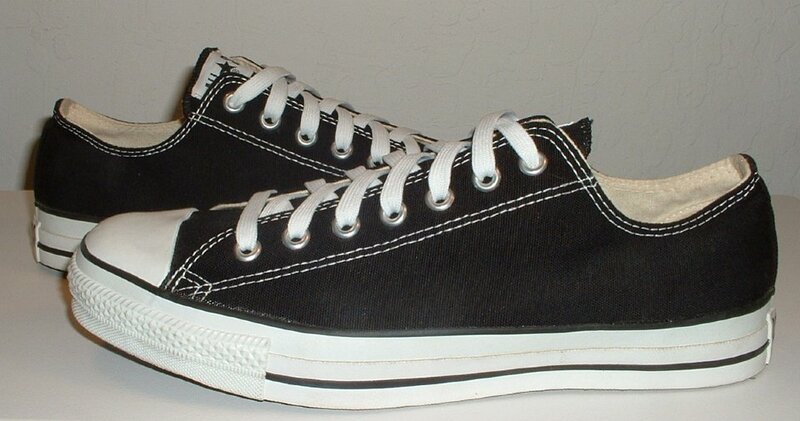 3 Core Black Low Cut Chucks Outside view of a left black low cut chuck. 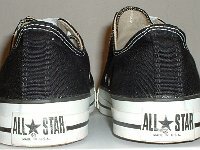 4 Core Black Low Cut Chucks Inside view of a left black low cut chuck. 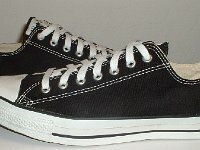 5 Core Black Low Cut Chucks Rear view of black low cut chucks. 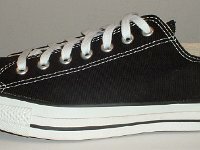 6 Core Black Low Cut Chucks Angled side view of black low cut chucks. 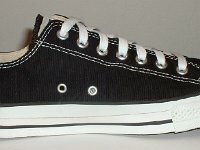 7 Core Black Low Cut Chucks Front view of black low cut chucks. 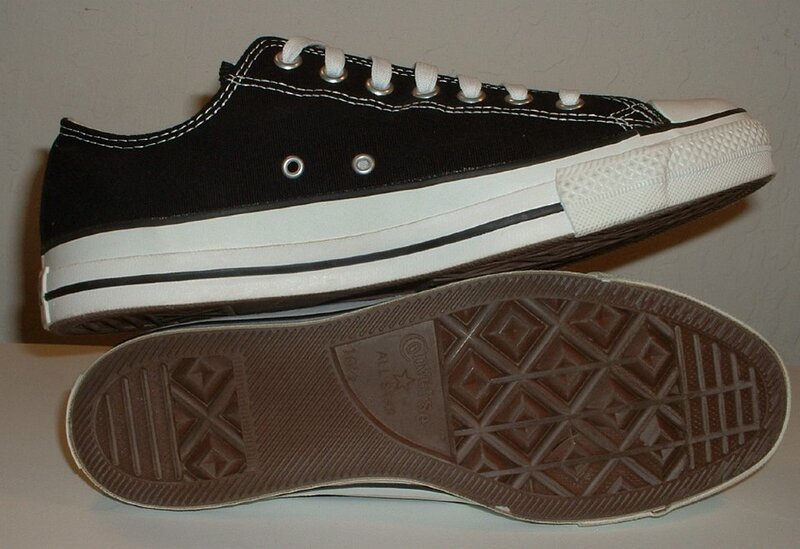 8 Core Black Low Cut Chucks inside views of black low cut chucks. 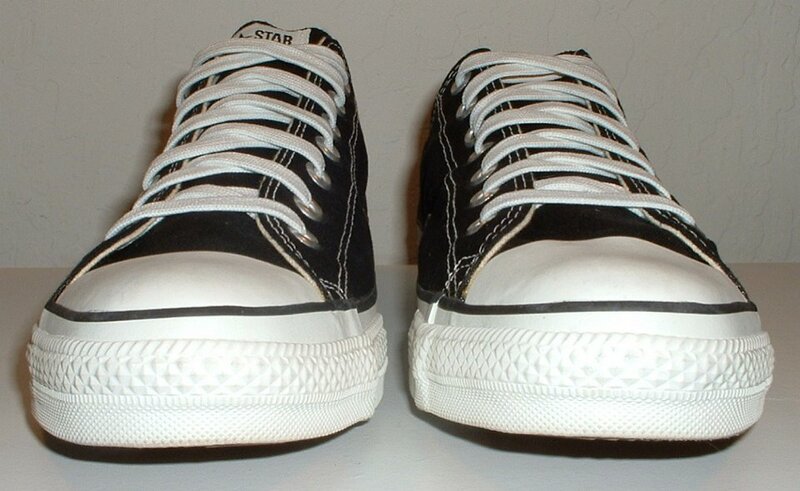 9 Core Black Low Cut Chucks Outside views of black low cut chucks. 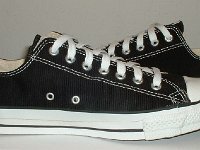 10 Core Black Low Cut Chucks Top view of black low cut chucks. 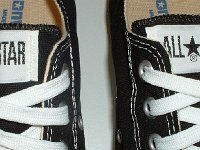 11 Core Black Low Cut Chucks Closeup of the All Star patches on black low cut chucks. 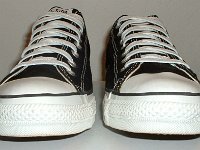 12 Core Black Low Cut Chucks Angled inside view of black low cut chucks. 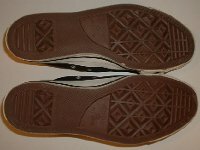 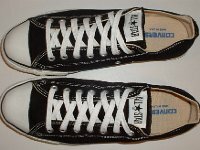 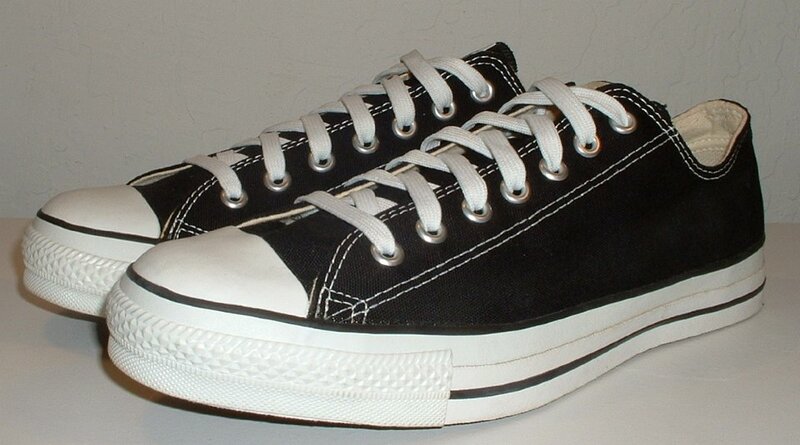 13 Core Black Low Cut Chucks Inside and sole views of black low cut chucks. 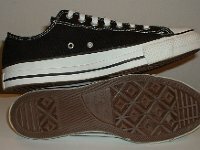 14 Core Black Low Cut Chucks Sole view of black low cut chucks. 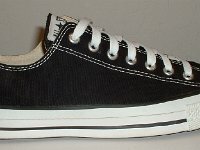 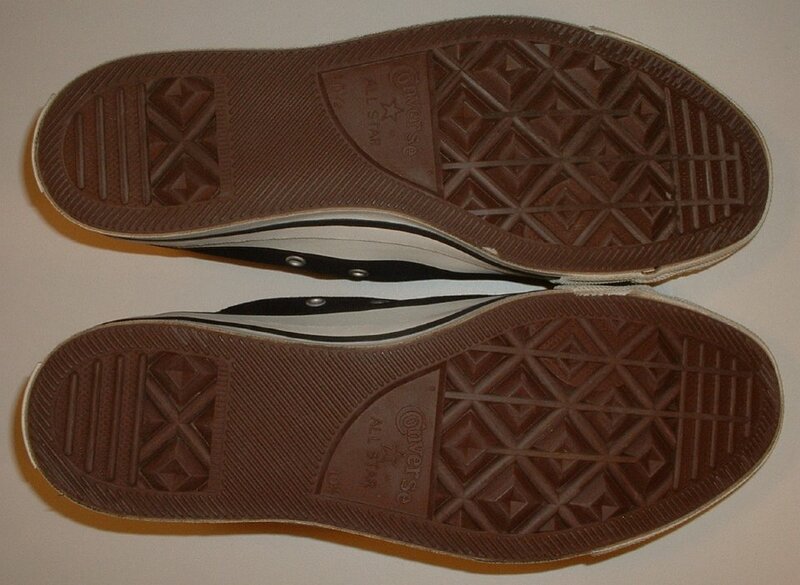 Core black low cut oxford chucks were first introduced in the late 1950s. 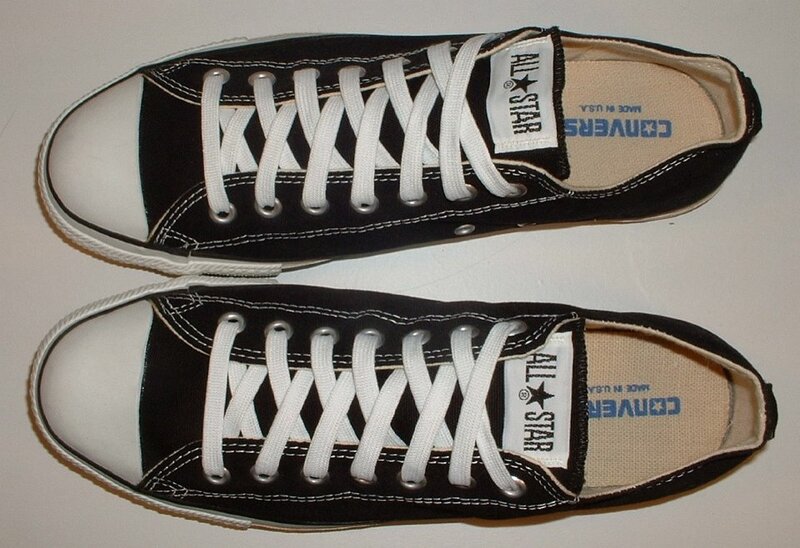 They continue to be one of the most popular models of chucks. 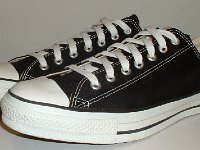 The pair shown in this gallery was made in the USA in the 1990s.